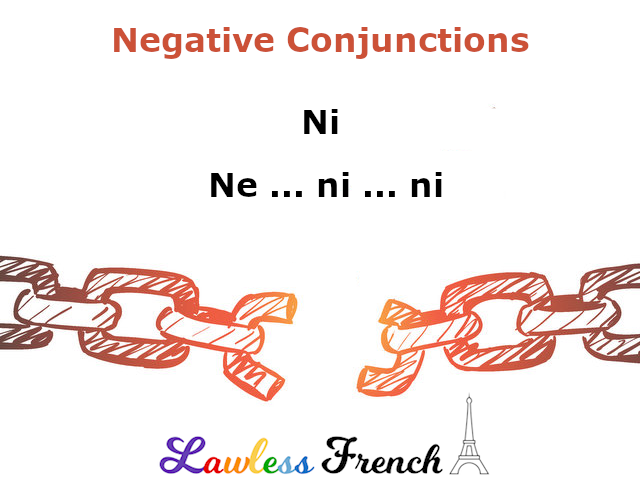 Ni is generally used on its own when a negative statement has already been made using some other negative construction, to add another negative. Je n’aime pas les chats, ni les chiens. I don’t like cats or dogs. Elle n’a parlé à personne, ni moi non plus. She didn’t talk to anyone (and) neither did I.
Je ne sais pas lire ni écrire. I don’t know how to read or write. In order to emphasize the negation, you can use ne … ni … ni. Just like with other negative structures, ne precedes the verb and each ni precedes one of the negated qualities, people, etc. Je n’aime ni les chats, ni les chiens. I like neither cats nor dogs. Tu n’es ni sympa ni charmant. You are neither nice nor charming. 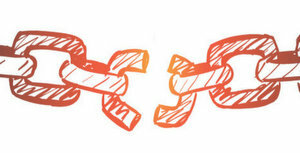 When negating two separate verbs, ne is required in front of each one, so the conjunction becomes ne … ni … ne. Je ne mange pas de viande ni ne porte de cuir. I neither eat meat nor wear leather. Elle ne veut ni ne peut y aller. She doesn’t want to go, nor can she. When negating two subjects that share a verb, there are two things to keep in mind: the word order changes to ni … ni … ne, and the subjects are considered a combined grammatical person, so the the verb is always conjugated for that plural pronoun. Ni toi ni moi [nous] ne pouvons y aller. Neither you nor I can go. Ni Pierre ni Marie [ils] ne sont venus. Neither Pierre nor Marie came.